There’s a price to pay for being a foodie. It’s a price I like to pay first thing in the morning, either by myself in the park or at the studio with my pilates instructor. After the festive period, that price (along with my waistline) has inflated just a little. Time to get this under control. I go through phases of loving to exercise and finding running relaxing, to thinking of the wildest excuses to not have to move my body at all. You’ll never find me exercising on a whim; every workout is well planned into my diary to give me enough time to psych myself up to actually do it. But arranging meals to support your workout schedule can be equally time consuming and laborious. I found a wonderful product that is helping me kick start my mornings, and thus my health and fitness goals in 2017! 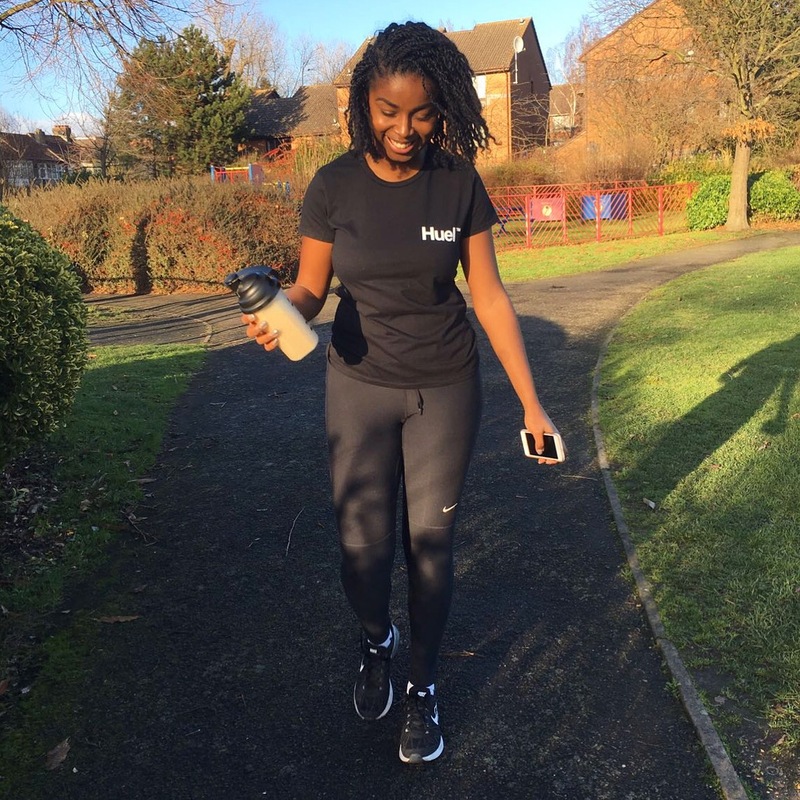 Huel is a nutritionally complete powered food comprising of coconut, milled flaxseed, oats, pea protein, brown rice powder and milled sunflower seeds. All the good stuff, and all vegan! 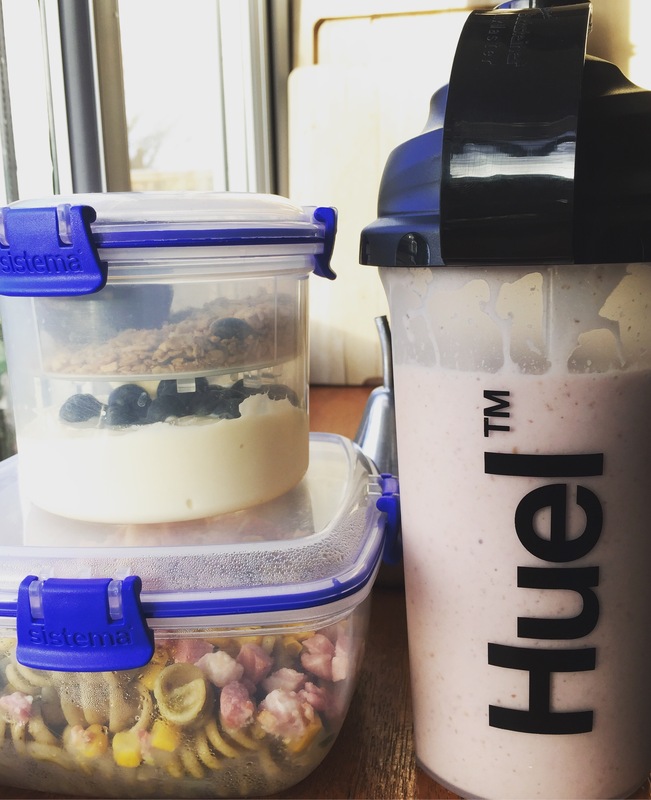 You can consume Huel at any time of the day as a substitute or addition to your regular meals, but the convenience makes it the perfect breakfast for me. I’ve tried various milk, fruit and water combinations but one of my favourites is this Chai Iced Latte – Huel style! Quite simply throw everything into your blender (I use a Nutribullet) and BLITZ! It’s quite calorie heavy, but Huel also contains guar gum which gives you the time to put those calories to work by helping your body feel fuller for longer! I wouldn’t recommend substituting all meals for Huel. I love food way too much to, and don’t think it would be particularly good for you. If I have a Huel shake in the morning, a good lunch to keep me going after is wholewheat pesto pasta – my favourite. #GetHuel on their website direct, or get in touch with their social team on Twitter or Instagram: @gethuel. Little tips and tricks to get and keep you fit and healthy, now and forever. Take the stairs (but not at Covent Garden station, definitely take the lift). Leave a little earlier and walk. I find it easiest to run when I’m not thinking about running. I like running with music so I can’t hear the sound of my own breathing or feet hitting the ground. Come join the fun with my running playlist on Spotify if you like. Podcasts! Meet Kane Chattey and some incredible artists on ‘So, You Wanna Be An Artist?’ or join Emma Gannon on any inspirational episode of ‘Ctrl Alt Delete’. Eat what you love! Happiness is healthy.